Prairie Underground has worked their magic with denim and the dress once more. We love all the detailing, and the flattering touches! A beautiful tiny stand collar with notched front, asymmetrical button. 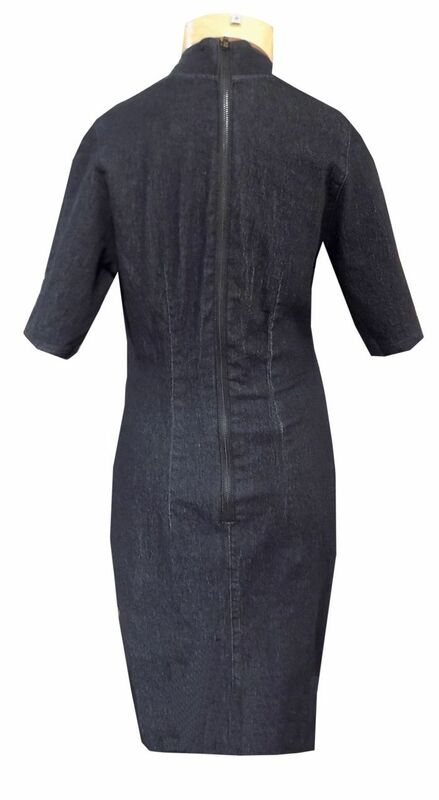 closure up the bust, elongated short sleeves, and a back exposed zipper. Oversized front. pockets give a flattering (makes it more forgiving thru the hips/thighs) detail to the silhouette!